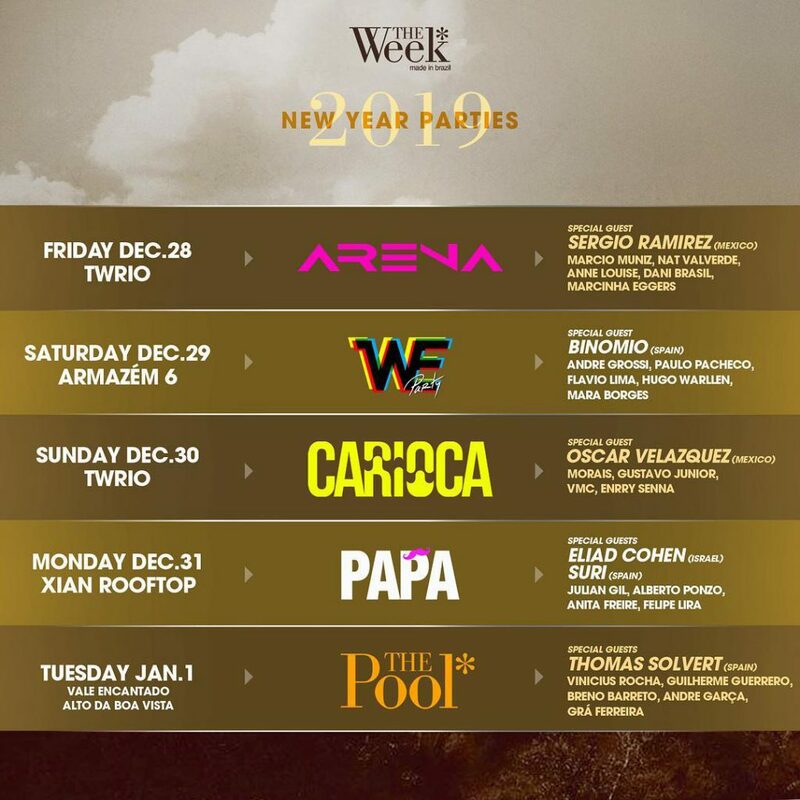 Rio de Janeiro is one of the best places in the world to ring in the New Year (or, as Brazilians call it Réveillon.) While the northern hemisphere is freezing, the beaches of Rio are warm … and the men are hot! This guide for 2019 is split into three sections: getting there, enjoying New Years Eve on Copacabana beach, and finding the best gay parties. Once in Rio, you will need a place to stay. Ipanema Beach is where the boys are. Copacabana is amazing as well. 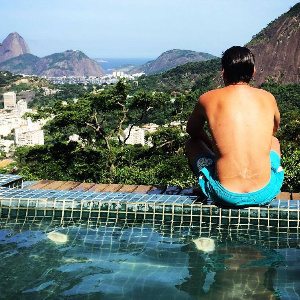 Check out our list of the best LGBT friendly hotels and apartments in gay Rio. Fabulous and free! The sands of Copacabana (and neighboring Ipanema) are the place to be this time of year. The New Year’s Eve tradition is to wear white and pay tribute to Iemanjá, the water goddess at the center of Brazil’s Candomblé religion. Every year, there is a massive party with live music that fills the sands of Copacabana Beach, however if you stay in Ipanema you will only be 20 to 30 minutes away by foot. 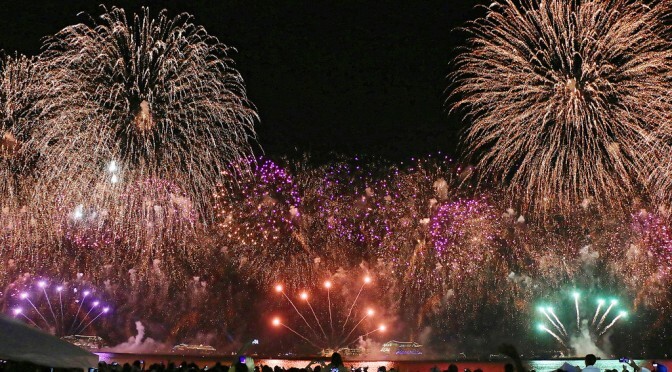 The music starts between 8 and 9PM, and the fireworks begin at the stroke of midnight. Parties, Parties, and More Parties! Get every last drop out of 2018 before the year ends. Rio’s gay bars will be open and ready to party after Christmas Day. An exclusive event at the luxury JW Marriott offering the best experience before, during and after the spectacular firework show of Copacabana beach! DJs spinning electronica and house in the comfort of the safe place for our guests. Premium food buffet and open bar. Get tickets and more info online. 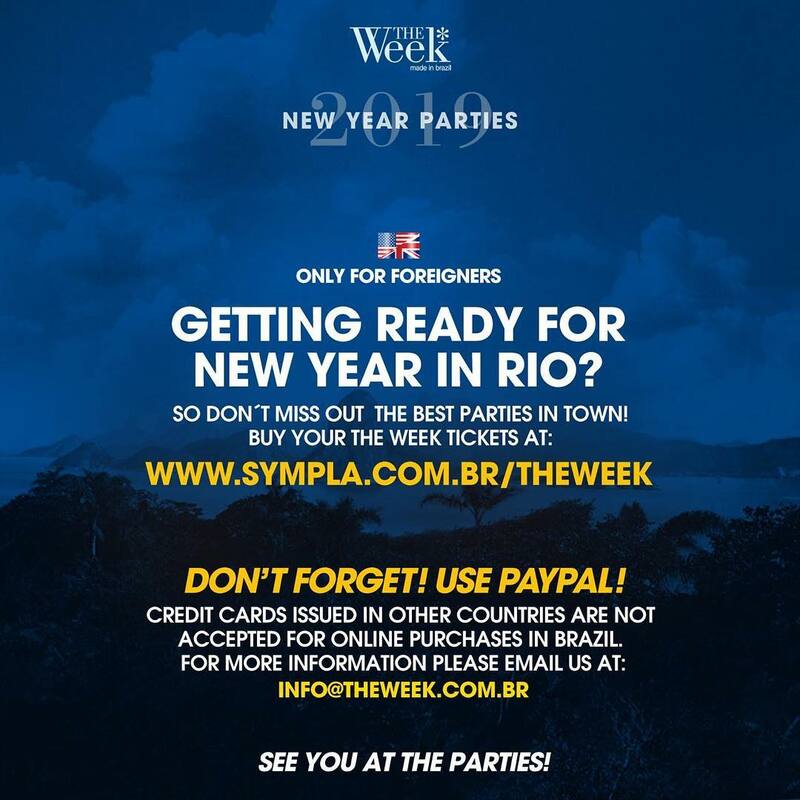 Bookmark this page for your gay Rio New Years plans, or subscribe to our newsletter below.